If the tables had been turned during their late-night dispute, Conan O'Brien says he knows what he would – and wouldn't – have done to Jay Leno. "He went and took that show back and I think in a similar situation, if roles had been reversed, I know – I know me, I wouldn't have done that," O'Brien, 47, says in his first post-Tonight Show interview, scheduled to air on 60 Minutes Sunday. In the interview, the new TBS late-night host tells Steve Kroft that he would not have "surrendered The Tonight Show and handed it over to somebody publicly and wished them well – and then … six months later… But that's me, you know." Adding that "Everyone's got their own, you know, way of doing things," O'Brien, who's been on the road for his 30-date North American tour, says if he had been in Leno's shoes, he would've "done something else, go someplace else." Leaving NBC, he says, was like severing a "toxic" relationship, especially one he didn't see having a future with. And though he may have negotiated with the network, O'Brien says he "started to feel that I'm not sure these people even really want me here." Note: Late night host George Lopez will be joining us TONIGHT – we'll get his take on Conan O'Brien joining him on TBS, or as he called it via twitter, "Team LO-CO." Do you think this is a good move for Conan? Will you watch his new show on TBS? We want to hear what you think, and don't forget to tune in tonight at 9pmet! Ousted "Tonight Show" host Conan O'Brien will return to late-night television in November with a show on cable channel TBS, the network said Monday. O'Brien's talk show will air weeknights at 11 p.m. ET/PT, leading into "Lopez Tonight" which will shift to a midnight start, TBS said. 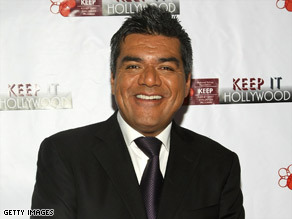 "I can't think of anything better than doing my show with Conan as my lead-in," George Lopez said. "It's the beginning of a new era in late-night comedy." Negotiations for the deal began last week after Lopez called O'Brien to ask him to consider joining the network, TBS said. LKL Poll of the Day – Who got the better deal, Conan or Leno?? 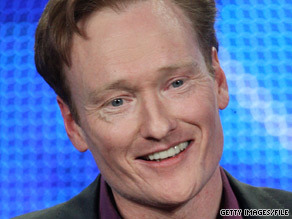 Conan O'Brien Is Following Who? Though the Conan-Leno-NBC saga came to an end in January, the former "Tonight Show" host is making waves online, and an unexpected beneficiary of the attention is using her fame to do good. In late February, Conan O'Brien joined Twitter, using the opportunity to make jokes about his unemployment (he claims to watch Remington Steele naked while eating cereal during the day). Last week, he decided to follow one person, seemingly at random. He chose Michigan native Sarah Killen, known on Twitter as @LovelyButton. Since then, Killen has gained over 16,000 followers and is now a bona fide ce-web-rity in her own right. As a recent interview from Tonic.com explains, she's using this fame to raise money for breast cancer research. Is Jimmy Fallon next in line for 'Tonight'? (CNN) - Now that Conan O'Brien is out as "Tonight Show" host and Jay Leno is back in, Jimmy Fallon may have quietly positioned himself to be next in line to take the behind-the-desk throne. As host of "Late Night," still slated for 12:35 a.m. Monday through Friday, Fallon is exactly where O'Brien once was for 16 years: the follow-up to Jay Leno's "Tonight Show." If history repeats itself, Fallon may be poised to take the "Tonight" baton as O'Brien did, though he would probably hope for better results. The 35-year-old comedian was brought into NBC's late-night fold last March to take over O'Brien's former post on "Late Night." Throughout the entire late-night battle at NBC, Fallon remained the silent new kid, keeping quiet even though the proposed negotiations affected his show as well. NBC originally devised a scheme that would place "The Jay Leno Show" at 11:35 p.m. for a half hour, to be followed by "The Tonight Show" at 12:05, which would knock Fallon back to 1:05, a move that could have put a deep gash in the newcomer's ratings. "He was wise to stay out of it, and he didn't have much of a choice I don't think. He's a small fish at NBC," said Slantmagazine.com's TV editor Sal Cinquemani. "He's like a little brother watching his siblings fight with his parents and to keep quiet was the classy thing to do." Even as O'Brien rode a ratings wave thanks to the shots he fired at the network, Fallon didn't use the open season on NBC to his advantage. But, Cinquemani said, Fallon didn't have to. At the end of the day, O'Brien's exit is the best thing that could have come out of this mess for Fallon. "This puts him in a better position than he was before, because he could now potentially be the host that follows on 'The Tonight Show,' " Cinquemani said. "It definitely works to his benefit, which is why he probably didn't say anything." 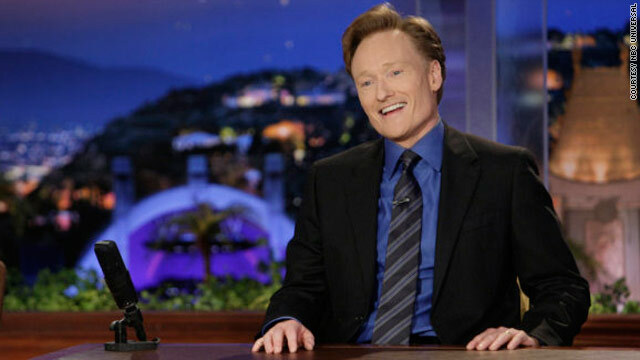 Conan O'Brien has signed a deal with NBC to walk away from "The Tonight Show," the network confirmed Thursday. "NBC confirms a deal is signed and an official announcement will be made this morning," said NBC spokeswoman Allison Gollust. The network did not provide details on the agreement, but the deal is expected to include a severance payment of about $32 million for O'Brien plus about $12 million for his staff, according to the Wall Street Journal. The newspaper said the pact could contain a "nondisparagement clause" for both O'Brien and the network. It is also expected to bar O'Brien from appearing on other shows or hosting his own show for a period of time, sources told the Journal. O'Brien has been at odds with NBC since the network tried to push "The Tonight Show" to a later time slot. The dispute erupted into a weeks-long controversy that galvanized fans of the show and roiled the entertainment industry. The deal, which was reportedly inked at 1 a.m. PT on Thursday, would reinstate Jay Leno as host of "The Tonight Show" at 11:35 p.m., the Journal said. O'Brien's departure comes after NBC abruptly decided to cancel "The Jay Leno Show," which had received lukewarm ratings after only three months on the air. The network sought to give Leno a half-hour show at 11:35 p.m., and then move O'Brien's "Tonight Show" to 12:05 a.m.
O'Brien, who has hosted the show for just seven months, objected to the change. He said in a Jan. 12 letter addressed to "People of Earth" that moving the show back would "seriously damage what I consider to be the greatest franchise in the history of broadcasting." After a tiff that has lasted two weeks, the mayor of Newark, New Jersey, said Wednesday that he is in discussions with "Tonight Show" host Conan O'Brien to "bury the hatchet and the feud." Mayor Cory Booker made the announcement on Wednesday's "Larry King Live" about the disagreement that started with a jab by O'Brien at the expense of New Jersey and continued into what O'Brien has called - tongue in cheek - "the biggest scandal in the country that's now involving a late-night host." On September 23, O'Brien joked on his program that Booker's plan to improve citizens' health care in New Jersey's largest city "would consist of a bus ticket out of Newark." The mayor fired back on YouTube, saying O'Brien was no longer welcome at Newark Liberty International Airport. "Try JFK, buddy," Booker quipped in a video that has garnered thousands of page views. Booker said Wednesday that "Newark has now shown itself that it's not going to allow itself to be picked on by late-night talk show hosts."